In less than 6 years, PXCom’s flagship end-to-end solution, XPLore by PXCom, widely enables airlines and their partners to manage any kind of content material regardless of the hardware platform. Additionally, XPLore by PXCom delivers natively-integrated editorial content, sponsored content, engaging passengers throughout the entire journey (pre-, in- and post-flight) in a consistent way via various channels (mobile, web, and of course IFE/C). Thanks to such cutting-edge technology, that can be integrated on the existing hardware, the airlines can now benefit from a comprehensive Inflight Services platform, serving both the passengers and the airline crew, up-in-the-air as well as on-the-ground. Such services are dedicated to reducing IFE/C-involved costs, generating direct and indirect ancillary revenues, whilst elevating the passengers experience. PXCom is excited to launch its new 360° consulting offering to the IFE/C industry at Hamburg. Relying on its success stories and the expertise developed through the large variety of managed projects, PXCom now offers airlines the only platform-agnostic one-stop- shop experience. From a 3-day audit focused on the project’s very early stages, to the daily IFE/C project management once rolled out, airlines are supplied with a holistic approach. Time spent on a plane is no more synonymous of boredom. of flying by reading about what to do and where to go to their final destination. Immfly’s onboard digital services platform provides downloadable travel guides, from hundred cities covered by the airline’s routes, available in several languages and formats. Barcelona, Spain | January 23, 2018– Immfly’s onboard digital services platform is 100% dedicated to guaranteeing the passenger can get the most of its experience while flying. The onboard travel guides are a useful feature to anticipate plans and close decisions before landing. At the same time, it is a powerful place for cities increase its visibility and to raise awareness of the endless activities available to be there discovered and explored. Immfly gives the passengers the opportunity to get to know the city before touching the ground. The history and background of the city, the lifestyle of its citizens, the local culture and customs, the typical and traditional gastronomy of the region, the must-see and visited places, the unmissable secret spot overlooking the heart of the city or the sunset near the ocean, all of these information is now available for consult. The destination guide’s access is not restricted to the onboard experience. Instead of that, Immfly’ guides accompany and travel along the entire passenger’s trip, from the flight and while on the ground, by being downloaded in pdf files and stored in passengers own smart devices. Travel means discover the unknown and experience new and unforgettable places. Immfly’s travel guides suggest million of possible activities for any type of trip and traveller’s profile. Tips for the ones who love to go out and have fun in a bustling city, the most famous places to eat and drink, the historical museums, the ideal place to go shopping, a walking tour by the city, are just some examples of what these travel guides are capable of. better organize the plans according to it. Immfly’s digital services offer the best activities and transfer services in all destinations managed and in contact with different partners. Besides being informed, passengers can actually buy activities such as museums entrances, a touristic bus trip, a football game, while flying. Additionally to that, Iberia Express has developed a microsite where passengers can even purchase before and after the moment of flying, by simply accessing the Iberia Express activities website. The time spent on a plane, seated, is no more synonymous with wasting time. Now it is possible to plan in advance and avoid lines in the most searched places. Buxtehude, Germany | September 2017– KID-Systeme’s SKYfi Club – a wireless streaming onboard platform for passenger and corporate aircraft – has been selected by Embraer as catalogue linefit option for the OEM’s E-Jets E2 Program. 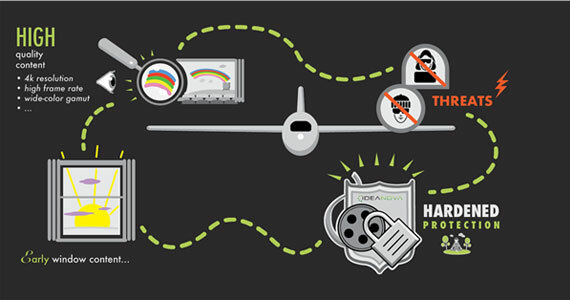 Airline customers are able to choose KID-Systeme’s streaming solution on aircraft types E195-E2, E190-E2 and E175-E2. The hardware will be offered by Embraer, customized software solutions will be provided to the airline customers by KID. SKYfi Club streams content to passengers’ personal electronic devices, allowing them to access the available entertainment options, such as movies, e-books and magazines. The technology is based on the trusted ALNA (Airline Network Architecture) connectivity platform, which flies on over 650 aircraft already. The mature system provides a scalable and modular architecture adaptable to customer need. It enables a wide range of additional services such as GSM telephony, internet access and data services. Further SKYfi can be complemented by SKYpower, KID-Systeme’s in-seat power and cabin power management system. The E-Jets E2s, consisting of three aircraft types, entering into the market as the second generation of the Embraer E-jet family. London, UK | September 26, 2017– Black Swan Data, one of Europe’s leading data science technology companies, last night won the Best Inflight Entertainment Innovation award at The Airline Passenger Experience Association (APEX) annual awards in Long Beach, California. The accolade was received for Black Swan and IAG’s ground-breaking and innovative in-flight portal for the 2017 launch of LEVEL, IAG’s new long-haul, low cost airline brand. Passengers can customise and manage their in-flight experience by connecting to LEVEL’s entertainment platform through a combination of a fully integrated seatback portal and an app on their personal device. The technology allows customers to seamlessly browse and purchase items whilst on-board, including the latest film, TV and music releases, as well as buying food & drink, duty-free goods and Wi-Fi packages. Through the use of advanced cryptology, secure payments can even be made whilst the aircraft is offline, enabling normal operation to continue if internet connectivity is not available. This innovative Pair and Pay functionality is unique to LEVEL, and the first in the airline industry. APEX is the only non-profit membership trade association dedicated to improving the entire airline passenger experience. This year’s APEX Awards, held on 25th September, recognised airlines and vendor partners in passenger experience who have successfully implemented new programmes and services in the last 12 months. IFExpress found a few data points on industry folks who will be at APEX. Check them out! APEX Highlights: We will be demonstrating our latest Xstream Lite wireless streaming system, with new revenue-generating opportunities. Will also be showing our FlightButler(tm) app for flight attendant’s smartwatch, and our Modman for Satellite Connectivity. Come and have some fun with the FTS Superhero team at booth 665 ! (and get your own Superhero giveaway). Contact: Kelvin Boyette:, +1 336-676-3183. Latitude Aero will be exhibiting in AIX Booth 2351, but will have seats on display on the APEX side in DDC’s (Pascall) booth, 411. APEX Highlights: Latitude Aero is a FAA Part 145 Repair Station, specializing in aircraft seating refurbishment, upgrades, modifications, and repairs. We look forward to meeting customer at both events. Please stop by our booth at AIX, and definitely stop by Pascall’s booth to see our newest project, a prototype USB power system that will debut in our refurbished seats on their stand. Latitude will have staff on both stands for the duration of the show. APEX Highlights: Astronics AES is looking forward to meeting with you at APEX Expo 2017. We have several new, innovative products that we are excited to unveil. Here is a preview of products and solutions that will be on display. APEX Highlights: SIE is a U.S. and European based engineering firm with AS9100C and ISO 9001 accreditation for Design, Engineering, Certification, Program Management, and Procurement of Aircraft Systems and Structures. Our specialty is the design, engineering, systems integration, certification (STC), and parts kitting for major IFEC installation programs for commercial, military, and VIP aircraft. Projects include installation and certification for Ka/Ku-Band Satcom Systems and Cabin IFE and Interior Re-configurations on 737NG, 757, 777, MD-10, and A320 aircraft. Customers include: Southwest Airlines, Norwegian, IcelandAir, United Airlines, Honeywell, Global Eagle, Panasonic, and others. 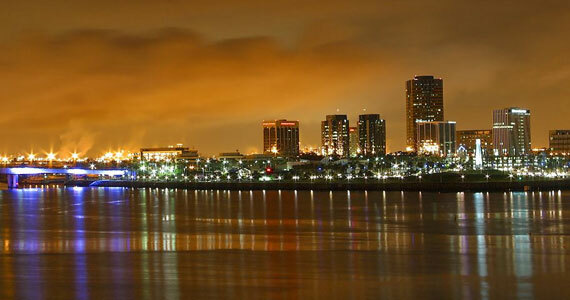 APEX Highlights: VT Miltope is proud to be an APEX member exhibiting in Long Beach this year. We are highlighting our upcoming Multi-Function Access Point 3 (MAP3) featuring: faster WAVE 2, Enhanced CHT, an Embedded Server, and Cyber Security. Please stop by VT Miltope booth 1211 to say hello and learn more about the remarkable MAP3. Gogo is the Inflight Internet Company. We are the leading global provider of broadband connectivity products and services for aviation. We design and source innovative network solutions that connect aircraft to the Internet, and develop software and platforms that enable customizable solutions for and by our aviation partners. Once connected, we provide industry leading reliability around the world. Our mission is to help aviation go farther by making planes fly smarter, so our aviation partners perform better and their passengers travel happier. You can find Gogo’s products and services including Gogo 2Ku, our global satellite connectivity solution at Booth 502. Thales (Euronext Paris: HO) announces today the signing of a definitive agreement to acquire the US company Guavus, a pioneer in real-time Big Data analytics.The acquisition of Guavus follows several acquisitions in the fields of connectivity, mobility and cyber security, and strengthens Thales’s positioning in one of the key technologies at the heart of digital transformation, the processing and predictive analysis of “big data”, an increasingly critical factor in real-time decision-making.Airlines, satellite, air traffic control, metro or train operators, armed forces or security officials of large urban or energy infrastructures rely on Thales’s high technology solutions to take the best decisions in real time. In a world facing exponential growth in the volume of data coming from increasingly connected sensors, Guavus’s acquisition opens broad opportunities for Thales in areas including predictive maintenance, cyber security, monitoring of critical infrastructures, network and telecommunication systems optimization. Guavus, a leader in real-time big data processing and analytics, is perfectly suited to the growing needs of an increasingly connected global ecosystem. The company has built a recognized industrial “big data” platform particularly suited to real-time analytics, designed to be easily implemented across any number of new markets. In addition, by bringing the expertise of its 160 strong R&D engineering workforce, Guavus will significantly enrich Thales’s expertise in this field. Gogo Business Aviation (NASDAQ: GOGO), long recognized as the leading provider of broadband connectivity products and services for business aviation in North America, is expanding its reach to become a global provider with the announcement of a high throughput satellite service for business aviation. The new service will utilize Gogo’s existing Ku-band satellite network, the same trusted high capacity satellite network that is currently providing bandwidth for more than 550 commercial aviation aircraft across 10 airlines globally. Gogo is currently bringing additional HTS (high throughput satellite) capacity online as part of its global satellite network, which will boost the performance of both its new business aviation Ku solution and its commercial aviation network solutions. Service is expected to be available in the second half of 2018. Inmarsat has signed a strategic agreement with Rockwell Collins, a leading provider of aviation and high-integrity solutions, for the global distribution of its next-generation SwiftBroadband-Safety (SB-S) flightdeck connectivity solution. The agreement builds on a successful long-term strategic relationship between the two companies and will bring new levels of safety and operational efficiency to the aviation industry. Today, Black Swan Data, one of Europe’s leading data science technology companies, has announced the appointment of Patrick Prefontaine as Chief Commercial Officer at Black Swan Avionics (BSA). Patrick’s appointment is part of the ongoing growth of BSA and its innovative work, including delivering inflight solutions for the 2017 launch of LEVEL, the International Airlines Group’s (IAG) new long-haul, low cost airline brand. Working in partnership with IAG, Panasonic, VISA, Cybersource and First Data, on the launch of LEVEL, and in collaboration with visual design agency MASSIVE, BSA has delivered in-seat interactive technology, portal and app development, crew applications, data resource management in a fully holistic solution. The innovative Pair & Pay functionality is unique to LEVEL and the first in the airline industry. Patrick will be at APEX EXPO 2017 in Long Beach, CA, from 24th-28th September and is available for interviews and meetings. IFExpress has a lot of news to cover this week, so let’s get underway! On July 7, 2017, the U.S. Federal Communications Commission (FCC) granted Thales a blanket license authorization for operation of its airborne terminals communicating with geostationary satellites; EchoStar XVII, EchoStar XIX, AMC-15 and AMC-16. In only three months – from initial application to approval – the FCC granted Thales this license to use its terminals on all U.S. and non-U.S. registered aircraft anywhere in the network’s coverage footprint for all four satellites in operation. This 15-year license is a significant milestone for the launch of Thales’ FlytLIVE™ network. 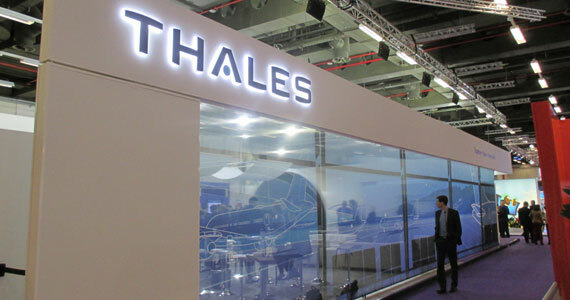 And, it allows Thales to begin extensive network testing this year as initially projected, leading to commercial service availability in late 2017. In addition to other notable achievements, Thales is paving the way to conclude registrations with other regulatory administrations throughout the Americas region. This is the latest development to the announcements made by Thales and SES earlier this year for a set of strategic agreements with Hughes to enhance the delivery of FlytLIVE which will provide increased capacity, coverage and redundancy over the Americas. In 2016, Thales announced its initial two agreements with SES. With these agreements, Thales will offer airlines the most efficient inflight connectivity experience and will add to its network the new SES-17 satellite – uniquely designed for Aeronautical Connectivity – to be launched in 2020. The connectivity provider announced recently that its next generation modem has been introduced into commercial airline service. The proprietary features of the new modem will significantly increase throughput from the satellite to end users on the aircraft. The modem is capable of delivering more than 16x the throughput of Gogo’s existing modem, which offers plenty of room to support the increased capacity of next generation high-throughput satellites as they come online. The new modem includes dual channels to simultaneously support internet traffic and broadcast IPTV. It also features faster and more sophisticated processing that enables much shorter hand-offs from one satellite to the next. “We are always looking at new innovations in each component of our connectivity solutions,” said Anand Chari, chief technology officer. “This new modem greatly improves the performance of our industry leading 2Ku solution, as well as our Ku solution, and is forward compatible with new HTS satellite constellations. This modem helps us future proof our in-flight connectivity solutions.” The new modem will be retrofitted on more than 450 aircraft on which Gogo’s 2Ku or Ku systems are installed through an easy plug and play installation process. In addition, the 2Ku system installed on Gogo’s backlog of more than 1400 aircraft will include the new modem. The company was selected by Air China to supply eX3 IFEC system for 10 A350s. Air China, the flag carrierand one of the major airlines of the People’s Republic of China, has selected inflight entertainment and connectivity (IFEC) solutions from Panasonic Avionics Corporation (Panasonic) for its fleet of Airbus A350 aircraft. Under the terms of the agreement, Panasonic will provide its industry-leading eX3 inflight entertainment for 10 Air China A350 aircraft. The first of these aircraft will be delivered in December 2017. By selecting eX3, Air China will offer a unique passenger experience that includes audio and video on demand, a content library that can offer up to 300 movies, 200 TV shows, games, music, a moving map, and much more. Hideo Nakano, Chief Executive Officer of Panasonic Avionics Corporation, said: “We are honored to partner with Air China on its A350 program. Because the airline’s route structure includes very long flights to all seven continents, it needed an IFEC solution that would help keep passengers entertained and offer new opportunities for it to generate revenue. Inflight broadband is changing the airline industry and revolutionizing passengers’ expectations of the onboard experience. That is the conclusion from the third annual global Inflight Connectivity Survey, published today by Inmarsat, the world’s leading provider of global mobile satellite communications, in association with market research company GfK. Overwhelmingly, passengers now expect the same levels of connectivity and access to online services whilst they are at 30,000 feet as they receive on the ground. As such, 60% of all passengers say that inflight Wi-Fi is now a necessity rather than a luxury. The majority (61%) of global passengers who have experienced high-quality inflight Wi-Fi rate it higher on their list of priorities than inflight entertainment when choosing an airline. With airlines in every market racing to install or upgrade their Wi-Fi offering, passengers will have a choice to opt for an airline that offers high-quality broadband, and will soon turn their back on airlines not offering this. Nearly half of respondents (44%) said they would stop using their preferred airline within the next year if it did not offer connectivity enabling them to stream or browse online without interruption. The ability to connect to personal devices such as smartphones, laptops and tablets now sits within the top three considerations when choosing an airline, behind ticket price (53%) and flight slots (44%) for 40% of passengers who have experienced high-quality Wi-Fi. What’s more, the ability to remain online and work during a flight is greatly improving passenger experience, according to more than half (56%) of business travellers who have previously used inflight Wi-Fi. “The 100th A350 XWB milestone comes as we reach our fastest widebody production ramp-up, on track to meet the target of 10 A350 deliveries per month by the end of 2018,” said Fabrice Bregier, Airbus COO and President Commercial Aircraft. “We are especially proud to deliver today’s aircraft to our long-standing customer China Airlines. The A350 is setting new standards for long haul air travel in terms of efficiency and comfort, thus being the perfect aircraft for China Airlines to expand its long-haul network.” To date the A350 has been delivered to 14 airlines worldwide and is flying with an outstanding operational reliability rate of 99%*. “This is a remarkable statistic at this early stage of the programme,” Fabrice Bregier adds. The A350 XWB features the latest aerodynamic design, carbon fiber fuselage and wings, plus new fuel-efficient Rolls-Royce engines. Together, these latest technologies translate into unrivaled levels of operational efficiency, with a 25 per cent reduction in fuel burn and emissions, and significantly lower maintenance costs. As the founding member of “Airspace by Airbus” cabin brand, the A350 XWB cabin provides passengers and crews the best in comfort, well-being and technology. Latitude Aero is pleased to announce Neil Robinson as the new Director of Global Sales. “With over 20 years of aviation experience, Robinson possesses impressive leadership skills and a deep understanding of customer centric sales,” said Kelvin Boyette, Latitude Aero’s CEO. “He is highly experienced at business development, innovation, marketing, and consultative based selling across multiple verticals with a specific focus on commercial aviation,” Boyette added. “The bottom line is I am excited about him joining. He brings a vast amount of experience in international sales, and will lead our global sales efforts and will be tasked with the development of our network of globally based sales professionals,” concluded Boyette. Luo Gang has been appointed CEO of Airbus’ new innovation centre to be set up in China. A location will be announced at a later date. With a degree in electrical engineering from Tianjin University and an MBA from the London Business School, Gang spent nearly three years establishing Uber China’s business before it was acquired by Didi Chuxing in 2016. His experience in London with UK start-up Rangespan taught him how quickly technology can transform traditional businesses. One reader wrote us: Maybe an article about SMPTE might be of interest to your readers among whom I conclude are Content Providers or IFE Video providers, etc. Does this subject have an interest for you? If so, you may want to register for the 2017 Annual Technical Conference & Exhibition in Hollywood, CA October 23-26, 2017. Register here! It looks like Boeing has a new organization that will produce avionics and other electronics. As we understand, the company is planning in the next decade to compete with the likes of Rockwell Collins and others. The goal is drive down costs and provide avionics in the vertical manufacturing process. Stay Tuned! Austrian Airlines is the second passenger airline of the Lufthansa Group to launch new interactive entertainment platform. London, Vienna | August 1, 2017– Austrian Airlines will be the latest international carrier to launch Profile, Spafax’s entertainment personalization platform. Using proprietary software developed by Spafax, Austrian Airlines’ passengers can access http://austrian-inflightentertainment.com to learn what entertainment will be available on their trip, as well as more in-depth information about each program all via a highly interactive web experience. The new site features a full listing of all movies, television programs, music and games onboard. Profile’s responsive design allows visitors to navigate the site from any device, and its ease of navigation mirrors or exceeds what you would find on leading entertainment portals. “In 2017, we committed to rolling out in-flight connectivity on our short- and medium-haul flights. As part of our digital transformation strategy, we are very pleased to partner with Spafax to take the way we present our entertainment program to our customers to the next level” noted Thomas Laxar, Director, In-Flight Entertainment & Connectivity, Content & Portal Austrian Airlines. APEX EXPO, Singapore | October 24, 2016– Bloomberg Media Distribution has announced a partnership with a raft of premium publishers to provide business, technology, entertainment, music, lifestyle and health news to global audiences. Bloomberg Media Distribution will distribute The Hollywood Reporter, Billboard, El Financiero and STAT text and video content alongside the best of Bloomberg Media. Bloomberg’s media distribution business has greatly expanded since its inception and today provides text, photos, videos and data for broadcast, digital and print syndication to publishers, broadcasters and other companies in more than 130 countries. With in-depth reporting, analysis, unprecedented access, world-class photography and video, and feature exclusives, The Hollywood Reporter is the entertainment industry’s flagship media brand and the definitive source for breaking entertainment and business news. Billboard is the leading global destination for charts, news, trends and innovations in music. Built on built on the most complete and well-respected database of charts across all music genres, Billboard has unmatched authority among fans, artists and the industry alike. El Financiero offers comprehensive news coverage on finance, economics and business news from Mexico, in Spanish, whilst STAT delivers fast, deep, and tough-minded journalism, taking readers inside science labs and hospitals, biotech boardrooms, and political backrooms. This month also sees the debut of Bloomberg’s new half-hour television and digital series ‘The David Rubenstein Show: Peer to Peer Conversations’, hosted by financier and philanthropist David Rubenstein. Rubenstein interviews some of the world’s most influential power players about their person and professional journeys, including Bill Gates, Lloyd Blankfein and Warren Buffett. Australia | September 22, 2016– At this year’s Apex Expo, the Stellar Entertainment team will be launching its new, industry-first product, pixL™. The product of several years of development at Stellar’s facilities throughout Asia and the U.S., pixL™ is a modern web app, providing airlines with a comprehensive ecosystem of entertainment. pixL™ acts as a ‘one-stop-shop’, where an airline can review all available content, view trailers, read reviews and explore data analytics about passenger usage on IFE systems across their fleet. pixL™ has millions of listings, complete with language and subtitle options and availability information from the major Hollywood labs. pixL™ handles purchase orders, music streaming, catalog management, preview screening and budgets. Says Rob Lynch, Chairman of the Stellar Group, “pixL™ is unique to Stellar and is a big leap forward in the monthly content shortlisting and management process of our industry. With pixL™, an airline has choice and control over its content in a way that has never been possible before. To make an appointment at Stellar’s booth #1215, contact info@stellargroup.com. London, UK | July 20, 2016– IMG, a global leader in sports, events, media and fashion, has agreed a deal with the International Olympic Committee (IOC) for the international inflight and inship rights for the Rio 2016 Olympic Games. The deal will see IMG distribute live coverage of the Games to the airline and cruise line industries, excluding all routes within the U.S. In addition, the company will produce other non-live inflight programming, including daily and weekly highlights programmes and a review of the Games which will be available within two days of the event’s conclusion. The deal will also see more than 200 hours of live action shown across the 17 days of competition on Sport 24 and Sport 24 Extra, the IMG-owned and operated channels produced exclusively for inflight, including every minute of the opening and closing ceremonies. United Kingdom | June 15, 2016– Dawson Media Direct is delighted to welcome aboard its new Managing Director, Paul Rayson. Mr Rayson will succeed the company’s outgoing MD John Howe, who retires next month. Rayson joins DMD from a fixed term contact position on the Executive Leadership Team of Flightglobal, the authoritative source of news, insight and expertise for the global aviation community. In that role he worked internationally with airlines, airports and government bodies, having previously held leadership positions across the aviation, aerospace, publishing, consultancy and logistics sectors. He brings a wealth of highly relevant experience to the job and the specialist knowledge needed to lead DMD in its ambitions for the coming years. Los Angeles, CA | May 9, 2016– Global Eagle Entertainment Inc. (NASDAQ: ENT) (“GEE”) today announced that it has signed a definitive agreement to acquire Emerging Markets Communications (“EMC”), a leading communications services provider to maritime and other mobility markets. The combined company will become a leading provider of global satellite- based communications and media content serving the rapidly growing aviation and maritime markets and select land-based markets. For additional details, please visit GEE’s transaction microsite at GEE-EMC.mobi. Under the agreement, GEE will pay $550 million for EMC. EMC shareholders will receive $30 million in cash and 6.6 million shares of GEE stock at closing and another $25 million in 2017, which may be paid in cash or stock at GEE’s election. As a result of this transaction, ABRY Partners (“ABRY”), an experienced communications-focused private equity investment firm and the majority owner of EMC, will acquire an equity position in GEE as well as the right to nominate a member to GEE’s Board of Directors. Dave Davis, Chief Executive Officer of GEE, will be CEO of the combined company and Abel Avellan, Founder and Chief Executive Officer of EMC, is expected to serve as GEE’s President and Chief Strategy Officer. Significant network and operational efficiencies. EMC is projected to reach $190-200 million in 2016 revenue and $55-65 million in Adjusted EBITDA in 2016. GEE projects annual synergies of at least $40 million resulting from removing overlap in existing network infrastructure, reduced bandwidth costs, lower development expenses and integrating internal operations. GEE expects to achieve annual synergies of approximately $15 million in 2017 and reach $40 million run-rate by 2019. Costs to achieve the synergies are expected to range from $4 to $5 million over the next 18-24 months. Founded in 2000, EMC is a leading provider of connectivity solutions globally on both land and sea, with 75% of its revenue derived from maritime-based activities. EMC serves more than 200 customers in over 140 countries and delivers connectivity and content services to all key maritime markets, including cruise lines and ferries, yachts, commercial shipping and energy. Its land-based markets primarily consist of providing mission critical connectivity services for remote offices and sites of non-government organizations (“NGOs”) and fully manage services for wireless operators and carriers in underserved regions around the world. Following the acquisition of EMC, GEE’s global satellite-based connectivity platform will service more than 700 planes, 1,600 vessels, 100,000 cruise ship cabins, and several thousand land-based sites, creating a leading provider of connectivity and media content to better serve customers in rapidly growing mobility markets. Both companies have a well-established track record of driving growth through new customer acquisitions and very high contract renewal rates. In addition, GEE and EMC have jointly provided media content to the maritime market for a number of years. The transaction is subject to customary regulatory approvals and closing conditions and is expected to close in the third quarter of 2016. GEE was advised by Citi and the law firm of Winston & Strawn LLP. EMC and ABRY were advised by Macquarie Capital and the law firms of DLA Piper and Kirkland & Ellis. Los Angeles, CA | April 6, 2016– Global Eagle Entertainment Inc., (Nasdaq:ENT) (“GEE”) a worldwide provider of aircraft connectivity systems, operations solutions and media content to the travel industry, today announced the launch of Entice, GEE’s next generation platform for wireless inflight entertainment (IFE) on passenger devices. The ground-breaking new product bundles proven hardware, software, content and services, transforming the inflight passenger experience. Entice (Entertainment, Information, Communication and E-Commerce) is reshaping the IFE market for airlines that have not traditionally offered inflight content options. It further provides carriers with a new and more personalized option to extend their existing IFE footprint. – Supersized content: Offering up to 10,000 hours of content, Entice has an unprecedented library of popular titles, including movies and television shows from around the world. – Personalized entertainment: Entice’s intelligent user profiling capability provides relevant content recommendations and a more seamless experience from flight to flight. – Passenger engagement: Airlines can gain valuable insight through comprehensive usage reporting and analytics, enabling more targeted advertisements and offers. Entice is powered by GEE’s award-winning Airtime platform, which delivers unrivaled service on over 700 aircraft today. As an integrated streaming solution, Entice is bundled and sold with a single, all-inclusive monthly recurring charge for hardware, software, content and services, thus removing management complexities for airlines. Detailed analytics optimize the delivery of targeted advertisements and the solution can be coupled with generating sales and integration with onboard operations. Entice has market leading storage capacity of up to 10,000 hours of content. Standard content features a broad mix of movies, TV, games and music. Premium upgrade options include new release titles, digital publications, near-live news and sports, and destination information. Entice is also ready for upgrade to Ku- or Ka-band satellite connectivity with high speed Internet and live content.